One question we get asked a lot is: “What is a good image resizer.” We just use our old favorite image editing programs (PaintShop Pro, Irfanview, FastStone Capture) to resize programs, and sometimes we forget that many people don’t want all the bells and whistles – they just want a quick and easy way to resize images. When I took at look at Dale’s suggestion it didn’t look like there was much to the Web site or the program. When I tried the program I realized it does exactly what a stand-alone image resizer should do: Resizes images and nothing else. How easy is it to use? Well, take a look. First install Image Resizer. 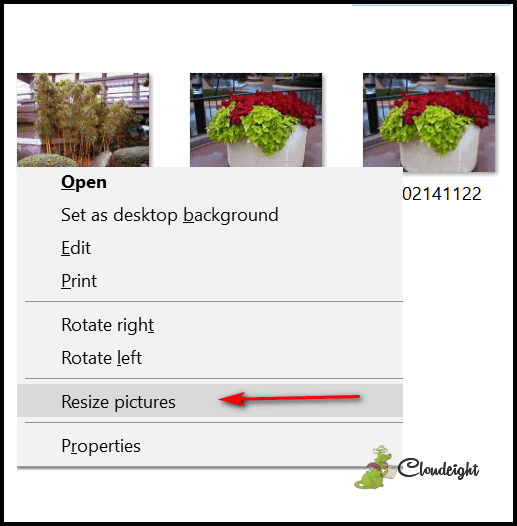 After it’s installed, right-click on the image or images (yes you can resize several images at at time) and select “Resize pictures” from the right-click menu. Then you’ll see several pre-set size options. Choose whatever size you like (or create a custom size and click the “Resize” button. It can’t get much easier than this! 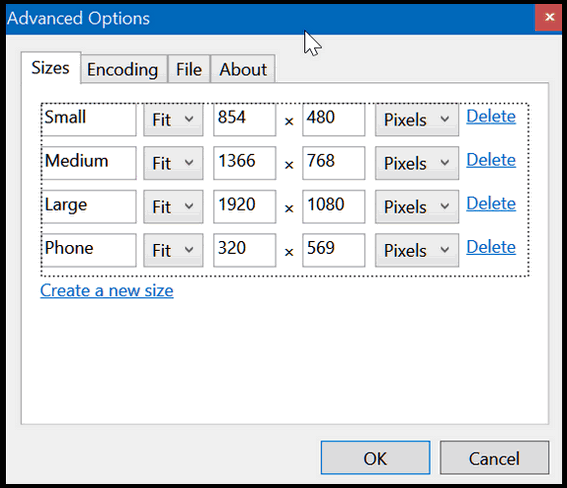 You can set your own custom sizes and even change the encoding from JPG (default) to PNG, GIF, TIFF and even more. But for most of you Image Sizer will work just the way you want an image resizer to work – without any fooling around or reading any instructions or help files. 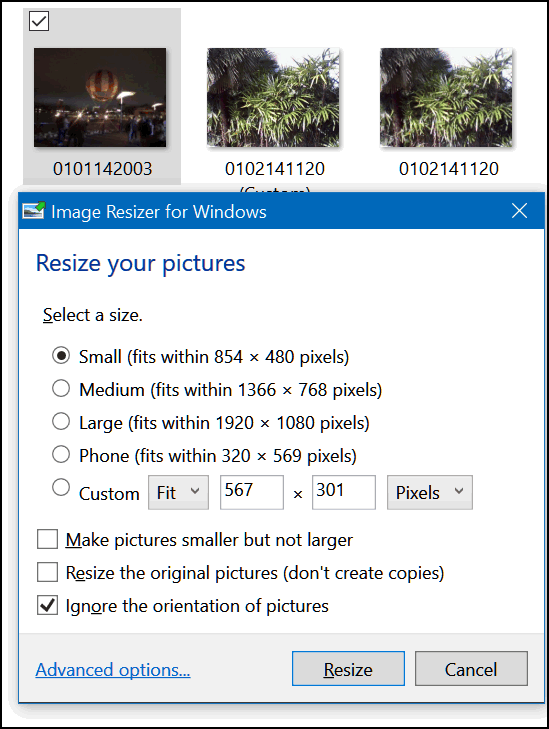 If you’re looking for a really good image resizer that just resizes images quickly and easily, you should try Image Resizer. 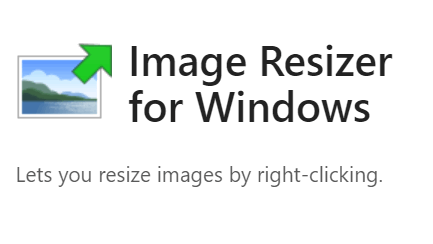 We’re pretty sure it’s the image resizer you were looking for. It works on all versions of Windows – we even tested it on a pre-release version of Windows 10 Spring Creators Update (version 1803) and it works great. 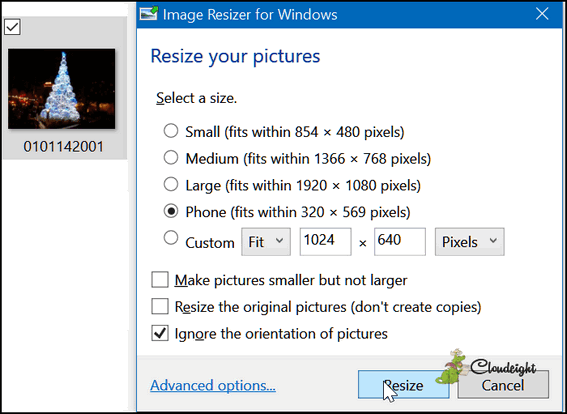 Just visit this page to read a little bit more about Image Resizer and/or download it. If you need a quick and easy way to resize images, you’ll be glad you did. Thanks to Dale C. for suggesting this program. We appreciate it! And we bet many other will be glad you suggested it too! I could not find a download for this on that page. Dale is a great source of tech resources for everyone of any skill level. I have been using this image resizer for a very long time. It just had a update or one that I noticed on my computer for down stairs. I just had to resize a few and the update popped up. I’m on that one just ever so often now. I don’t need to resize many pictures on this computer at this time. I like it being on the mouse also. I don’t think many do that. I love it. I am so glad to have it. Works like a dream.